How To Treat Hot Spots On Dogs? Hot spots are rough and red patches formed on the pet’s skin due to itching, licking or scratching. They are also known as summer sores or moist dermatitis. These hotspots can appear anywhere on the pet skin but more commonly found on the head or neck area of the pet. It is a very uncomfortable situation for a pet as these spots cause itching sensation and thus forces your furry pal to scratch the skin mindlessly and thus making the affected skin area more rough and contaminated. At the same time due to continuous scratching and itching, the surrounding skin area of the hot spot also tends to deteriorate and creates further skin problems for pet. Hot spots occur when your furry pal indulges in continuous scratching and itching. This can be due to allergic reactions, fleabites or poor pet grooming. Apply a healing cream such as Dermavet to faster healing of the wound. Hot spots are very irritating to a pet but can be prevented if you groom your pet regularly, feed him appropriate diet and make use of flea control products such as Frontline spray or Bravecto to protect him from flea infestation. At the same time, visit your vet regularly to stay updated on your pet’s health. 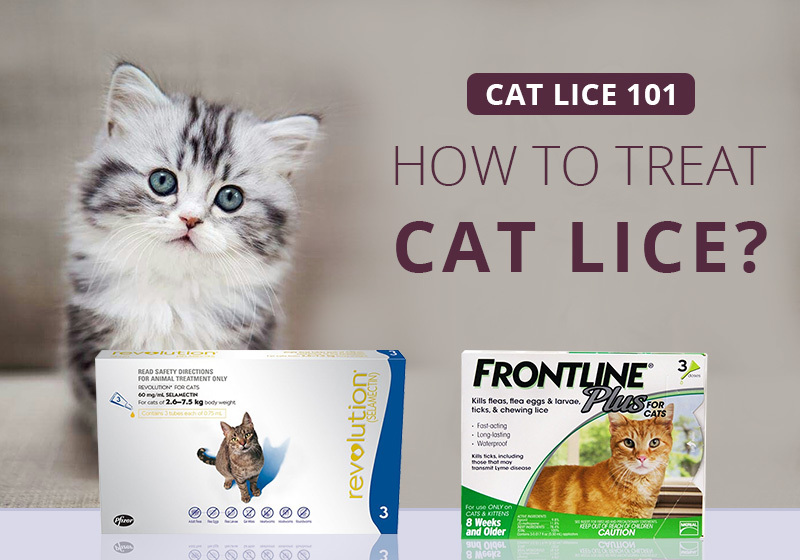 Cat Lice 101: How to Treat Cat Lice? Lice are parasites that attach themselves to the host body and feeds on the host’s blood. But only one species of lice makes its home on cats, a species called Felicola Subrostratus. This species of lice do not infect dogs, people, or other pets. Cats living in unsanitary conditions are prone to develop lice issue. Though lice infections are not as common as flea infections, it is crucial to protect kitty companions from this dangerous parasite. Lice are species that prefer hunting a group of cats because their close proximity gives them an ideal environment to feed themselves from multiple cats. Let’s have a look at some of the treatments that can help you get rid of lice on your cat. If you have more than one cat then this becomes a necessary step for you that will prevent transferring the infection to other cats. You must take proper precautions like isolating your cat and keeping her in a different room. Isolating your cat also reduces the amount of cleaning required to eliminate the lice. Topical insecticides including selamectin, fipronil and Imidacloprid are all effective against lice. Apply these treatments between your cat’s shoulder blades. Lice treatments such as Frontline Plus, Revolution are usually monthly. Apply every two weeks for four to six weeks, or as recommended by your veterinarian. If your cat has lice, you’ll need to disinfect your kitty’s environment. You should replace all of your cat’s items like bedding or grooming supplies that she uses on a regular basis or wash them using a disinfectant in hot water. Steam the carpets clean. If your cat has severe lice infestation, you should treat your home with a fogger. You can also prefer using insecticidal sprays, powder as well as shampoos that are effective in killing lice. You should take extra care and treat your cat more than once to kill the nits as they hatch. Please consult your veterinarian before trying any new or unconventional treatment to treat lice on your cats. 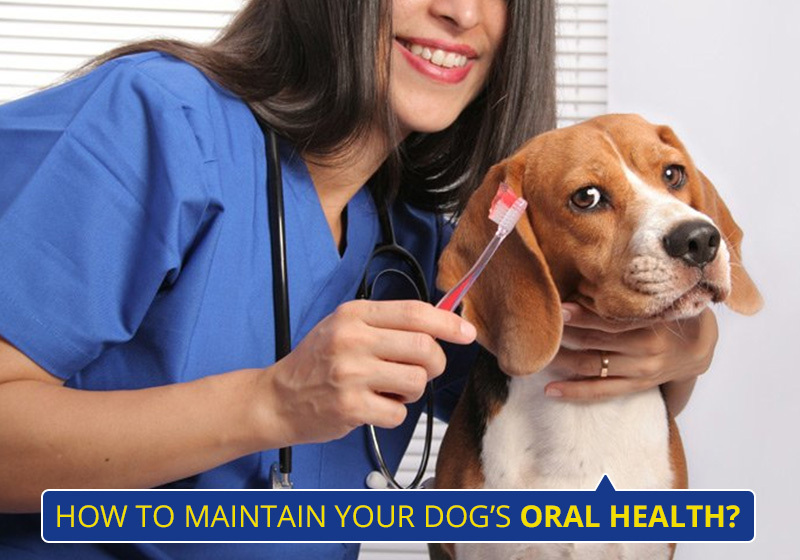 How to Maintain your Dog’s Oral Health? Brushing your dog’s teeth may be a task for you but it is an important activity that will keep your dog healthy. By taking a proactive approach to your dog’s dental health, you can help fight against many common dental health issues like bad breath, plaque and tartar build-up, and periodontal disease. Here are some tips on how you can keep your dog’s teeth in good condition. Most dogs with bad breath usually have poor dental care. Regular cleaning of your dog’s teeth can help remove food particles that are stuck in between your dog’s teeth and gums and can also prevent the odor from developing. Brushing your dog’s teeth regularly removes tartar and plaque. A tartar build-up if not cleaned from time to time can cause blockages that affect other organs and joints. Brushing regularly can help prevent arthritis, heart disease, and various other complications. Periodontal disease is one of the most prominent diseases to affect dogs. Brushing your teeth every day stimulates your gums and cleans your tooth. It benefits your dog’s teeth in the same manner. Regular brushing is the best possible way to ensure that your dog has healthy teeth well into the adult years. Toxins from periodontal and other oral diseases can damage the heart, kidneys, and liver which filter the blood if they are absorbed into your dog’s bloodstream. For this reason, regular brushing is crucial to prevent bacteria in your dog’s mouth from infecting and fatally damaging the internal organs. Good oral care just isn’t limited to tooth brushing. It should include regular dental examinations including X-rays and a professional cleaning under general anesthesia. It’s true that all dogs don’t want to have their teeth brushed. But don’t give up too soon. About 80% of dogs will allow you to brush their teeth. That’s if you start gradually and make it a fun activity.